Who, What, Where and Why?? can I offer you on this blog? Recipes – I specialize in truly tried and tested home-made recipes from around the world, made in our very own kitchens. and sincerely hope and wish that you will participate in all the different platforms. did I start this blog? I love to share my passion to cook, bake and experiment in the kitchen. If you love to cook, you will love this blog, and everyone is welcome to share and ‘hunt’ for recipes as well as stories from many wonderful fellow bloggers which they so graciously share with us. Any cookies on this website are used to ensure normal website functions (for instance, Youtube videos won’t work without their own identifiers). These cookies cannot be switched off because the website wouldn’t work properly anymore. However, these identifiers do not store any personal data. Find out more about how WordPress uses your data. When you leave a comment on my blog or send me an email via my contact page, WordPress stores your gravatar name, IP Address, comment, and email address. Therefore, leaving a comment and email is considered a clear affirmative, specific, and unambiguous action as defined by the GDPR giving me consent to store this information, and permission to contact you in the future by email. Thank you so much and may you also have a wonderful weekend. It is indeed an honour to be part of and share in your team Especially. Your caring and nurturing displayed on your page brings everyone together. Thank you for your kind words Mel, much appreciated. Take care and have an awesome weekend. And what a great place it is too!!! Now there’s a post worth considering doing. Newer followers might not actually know some of what went up ages ago so a regular resume post might help that. What a cracking idea Esme. Gary – you’re so generous with your compliments. Thank you very much. I have had this idea for a while, and just did not know how to do it and put it in words and make it work, but then on Friday evening I just sat down and get it out there. Thanks my friend. Just saying it like I see it! It’s such a simple and yet good idea. I guess that’s something landing pages can do too. Introduce who you are and why you blog maybe. It’s one of the things I’m pondering with my blog shake up. Great to meet you, Esme! Now off to read some of your recipe posts. That’s ok. Whenever you can get the post out. Good luck. I hope one of the links works. No problem, thanks they all work !! Nominated you for the Blue tag Award and the Liebster Award. Just get the post out when you can. Hi Crystal – WOW – Thank you so much for thinking and nominating me for the Blue Tag and Liebster Award. I have been away for 2 weeks and now trying to do catchup. I will do my best to get this done as soon as possible. are the first person I’ve come acrossed that feels as I do about baking, that it’s relaxing! Looking forward to learning more from you! Mwah – thanks, you will find me in the kitchen when I am totally stressed out and need to get myself back in line. Please share with us some of your recipes.. Would you like to do a Guest post here with TRH???? Your blog is a joy Esme! I love your passion for cooking and hunting down those recipes. Looking forward to diving into your site, I love to cook but have been in a recipe “funk” lately. Thanks, hope you find something you like to try out, any feedback welcome. Esme, A very creative site. Please feel free to post at the Senior Salon on Mondays. I know the other regulars would give you a warm welcome. Hi Bernadette, WOW thank you so much for this invite, I am gobsmacked and would love to participate there. Please may I ask for a link to Senior Salon. If you prefer, email me at cookandenjoy@shaw.ca then we can chat as I also have some ideas I would like to discuss with you. Looking forward to connecting and sharing. Thank you again. 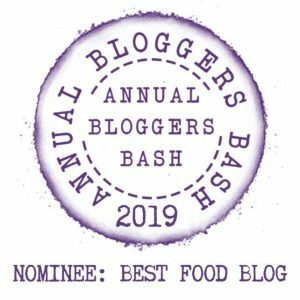 Hi Esme….thank you for your wonderful guest post on my blog…..here it is…..:)……https://mydailyjournalonline.com/ess-gf-bread-butter-pudding-guest-post-esme-slabs-recipehunter/ ….. lovely to host you. Anindya thank you so much for your kindness and WOW I am stunned that you already have it up and going. Now its your turn to let me do a post for you. I do not have the same system as you, but feel free to email me at cookandenjoy@shaw.ca and I will provide you with the layout of my system to Guest post. Thank you once again. Sure…will do. ..give me sometime to come up with another post…I will let u know..
No you cannot reblog it from a self hosted site….you can post it on your blog with a link to my post. Perfect will do that tonight and thank you for clarification. Mwah – Thanks again for your kind words. Hi. Tried to open your link but its not working. 😢. Please check it and provide me the full link. Whoops. Try http://crystalsphotobloggingsite.wordpress.com that should work. Let me know if it works. Just a reminder of the Sunday Meet Greet. You still have time to submit a link to a post. thanks. I chose this because despite it being a referral post it’s about Daisy Mae and I.
will do my friend. I enjoy these meet and greets. you are a nice person. I’ll sure try to make your blog again on Sunday . OK. I’ll make sure to get a short post out before Sunday. Remember to visit at least 3 others and share their links. Thank you for following my blog! I’m looking forward to perusing yours. I love cooking and baking and am thrilled to find another fellow lover of food preparation! I’m looking forward to trying many of your recipes! Thank you very much. Glad to meet you Robbye and welcome to my kitchen. Take care and I hope you find some interesting stuff here when you visit. If you ever feel and want to Guest Post with me, just drop me a note and I will be more than happy to share your post on my blog. You are welcome and thank you for the invitation to guest post!! I am sure I’ll find lots of interesting things! I saw this too late to get in on it today. However, I’ll try to remember to join next week! Thank you!! I’m sorry I missed it, perhaps I’ll catch it this Sunday! Come and join us in our SundayMeetGreet so hop over to this post and please Share your pinterest info with us. This is a great way to get to and follow other boards. Thanks for the invitation, I’ll try and visit this weekend. I try to avoid the computer on weekends because I’m on it so much during the week!! I don’t always manage to stay off though!! Thanks Lise. It means a lot to me. It is nice to know you Esme. I love the new look of your site. Thank you Thelma for your kind words. Your blog is a bunch of happiness. Great to know you. Loving the new look. Mwah – thank you so much for your kind words. You make my year, as still have so much issues to work through. Thank you Esme. Best wishes. Your blog is a bunch of happiness. Congrats for the new look. Oh WOW, I am so humbled by your kind words and thinking of me for this award. I will to try get to this asap.